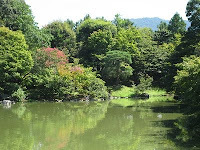 There are 4 imperial related places you have to make a reservation in advance to visit, Old Imperial Palace, Katsura Villa, Shugakuin Villa, and Sento gosho Palace. 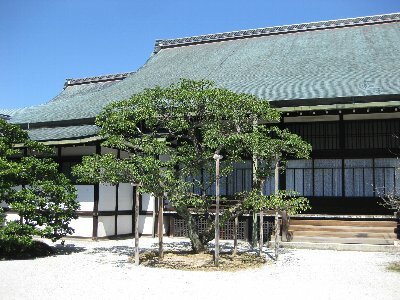 What we call Sento gosho is the one combined with two palaces, Sento Gosho and Omiya gosho. 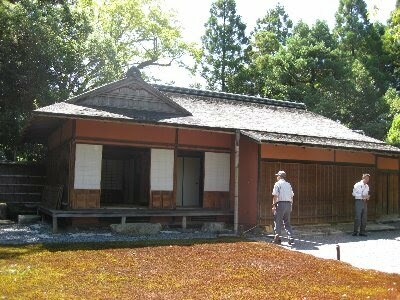 Retired emperor lived here in Sento gosho and Empress lived in Omiya gosho. 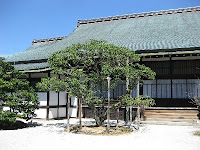 The building of Sento gosho was not rebuilt after it burnt down by the fire, so now there is no building in Sento gosho. The building of Omiya gosho is used as an accomodation when Imperial family visits Kyoto. 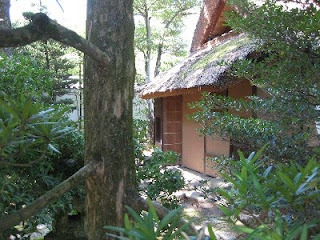 And the late Princess Diana stayed there when she visited Kyoto. It has a circuit style garden. The place you stand is the front of the garden, which means you can enjoy the beauty of the garden from wherever you are in the garden. In old days, Emperor and Empress seldom went out of the Palace. They enjoyed four seasons walking around the garden. This is a kind of beach. As you know, Kyoto doesn't have sea. We can understand how they yearned for sea. To tell the truth, each stone of the water side is very precious. In those days, just a stone could be valued as a life-long amount of rice. 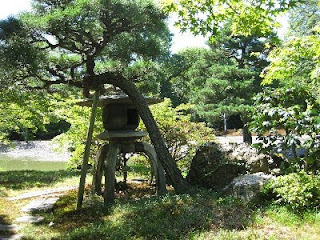 This stone lantern was presented by Shogun. These two buidings are tea houses. To visit Sento Gosho, you are required to make a reservation in advance. You can do it through the internet. If you find it fully booked, and if you have time to visit the imperial house hold agency in the palace, please go and ask the availability. They have some vacancies for the visitors who directly apply for it. 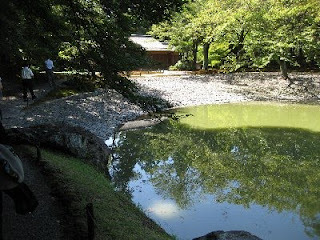 The tour of Sento gosho comes with only Japanese guide. I think you can enjoy the beauty of the garden without an English speaking guide.